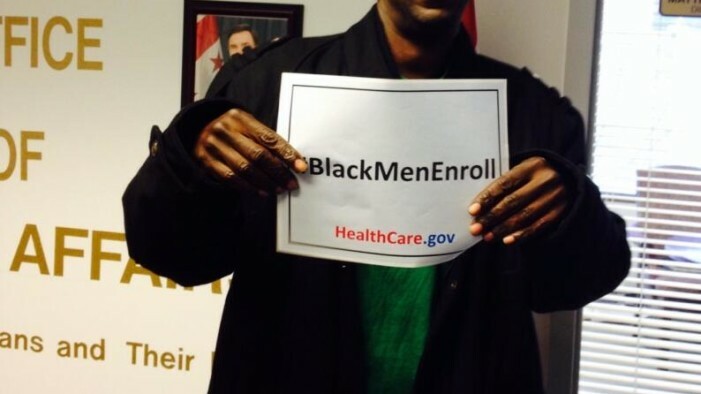 As the calendar races toward whenever the hell the real Obamacare enrollment deadline is, the Congressional Black Caucus (CBC) took to Twitter to promote its #BlackMenEnroll campaign. The pathetic push targeted at black American men is not only racist, but it’s blatantly sexist. After I started retweeting the CBC’s racially targeted tweets with the hashtag #BlackMenEnroll, people on Twitter were still shocked with disbelief. Oh, the stupid is real. Rep. Lee recently called Rep. Paul Ryan a racist for talking about poverty in inner cities. Would Barbara lee find it racially incentive if Rep. Paul Ryan took a picture of himself holding up a sign that read #WhiteMenEnroll? Last month, CNN reported that only 19% of Latinos and 20% of blacks have looked for health insurance plans on healthcare.gov or their state exchanges compared to 28% of whites, according to a Commonwealth Fund survey. In the end, this shamelessly racist and sexist campaign to encourage a subgroup of Americans to buy a product they clearly don’t want to purchase tells you all you need to know about the Congressional Black Caucus and the hubris of the Democratic party.